Shrouded within the discussion on climate change are the comparably impactful, shorter time-scale extreme events that can “shock” a part of the world in a matter of months or even weeks. While the gradual transformation of climate can have a major effect on the agricultural blueprint of a region, individual severe events can pose just as serious of a threat to regional and global food security in the form of food shocks. 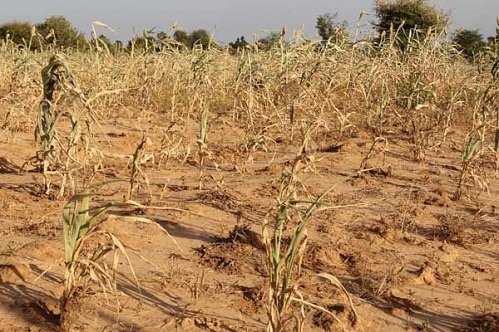 Researchers are investigating if the projected increase in climate change-generated droughts, floods, heat waves and other intense short-term occurrences will result in increased shocks that could jeopardize food security worldwide. This topic will be included in sessions at the upcoming 6th Agricultural Model Intercomparison and Improvement Project (AgMIP) Global Workshop in Montpellier, France. Even though a single food shock may be confined to a small region, if it is severe enough, the event can have monumental impacts that resonate across the globe. In February 2016, AgMIP’s global gridded crop modeling intercomparison leader, Joshua Elliott, spoke at a congressional food shocks panel and cited a notable shock that recently occurred in the United States. In 2012, the worst drought in at least a half-century occurred across the American Midwest. As a result of this drought and its impacts on local crops, worldwide maize and soybean markets spiked at a tremendous rate. Price jumps like these can lead to increased household expenditures, shifts in resultant diets, reduced access to adequate food in poor communities, and civil unrest that may spiral into wider conflicts in places with fragile governance. AgMIP is holding its sixth global workshop June 28-30 in Le Corum, Montpellier, France. AgMIP will hold two sessions relevant to food shocks, “Seasonal Forecasts and Climate Extremes,” and “Soils and Crop Damage.” These sessions will discuss how extremes, pests, diseases, and other components can contribute to a shock to the global agricultural system. Additionally, there will be two side sessions on coordinated global and regional integrated assessments of climate impacts on agriculture and food security. This includes a multi-scale, multi-discipline, and multi-model approach to understanding how shocks impact various regions. These integrated assessments of climate impacts are a vital part of food security assessment around the world. The Intergovernmental Panel on Climate Change finds that a climate with increased variability and warmer temperatures may result in an increased probability of heat waves, floods and droughts. This heightened probability of weather extremes would elevate the likelihood of food shocks, as production shortfalls can reverberate through the local and international food systems. Droughts may not only become more frequent because of changes in precipitation severity, but also because of altered precipitation type. With warmer global temperatures, the percentage of precipitation that falls as snow will decrease. More than one-sixth of the world’s population’s water supply comes from melt water from snow packs or glaciers. Corresponding decreases in each with global warming will cause additional water stress for areas relying on these sources. A singular, confined shock can have far-reaching, economic impacts because of high concentrations of crops grown in particular areas. According to a 2016 study on teleconnected food supply shocks, the UN Food and Agricultural Organization’s Statistics Division shows that heavily-utilized crops such as maize, rice and wheat are produced in similar regions. For example, 82 percent of maize is grown in just five different countries, including 50 percent in the United States alone. Sixty-six percent of the world’s wheat is grown in five separate countries, of which 34 percent is grown in Canada and the United States. Because of this notable localization of crop growth, the manifestation of only one extreme event limited to a precise region could be all it takes to create a major decline in agricultural production of a crop across the entirely of the globe. Once people are aware of the threat weather extremes pose, there is a need to put into place policy and take action to mitigate the augmented chances of food shocks. Elliott served as a coordinating lead author on a U.K.-U.S. Taskforce on Extreme Weather and Global Food System Resilience report, released in August 2015, which detailed findings on the state of food security and the likelihood of food shocks in the future. The report outlines recommendations to help improve resiliency against food shocks. It is essential for us to expand on thorough research as well as emphasize coordination and discussion between different industries and scales. Governments, international organizations, farmers and others need to continually exchange ideas to ensure active conversation on food security. It is important to make certain that agriculture adapts along with the changing times. An increased strain on the global agricultural system caused by climate change and an expanding population needs to be answered with changes in the way we produce our food. 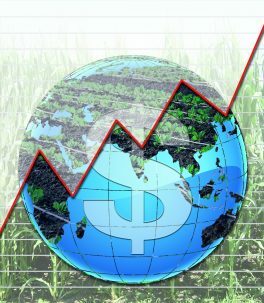 “In particular, there is a big push to develop economic models to allow disequilibrium simulation that could resolve things like shocks, as well as the potential to play scenario-based games in which representatives of various countries, industries and populations are confronted by a hypothetical shock in order to understand responses, non-linearities, teleconnections and feedbacks throughout the agricultural system,” Alex Ruane, the AgMIP climate co-leader, said. 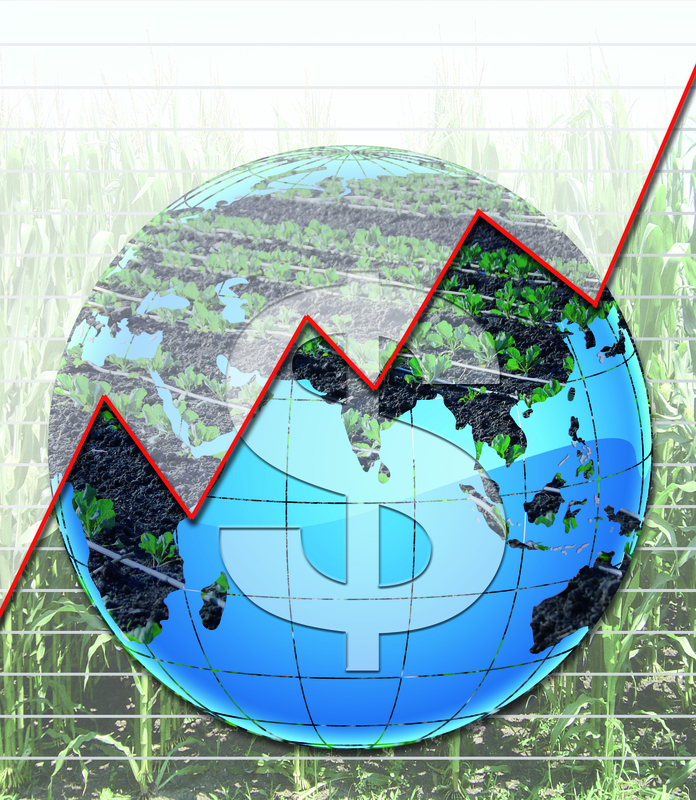 At the 6th Agricultural Model Intercomparison and Improvement Project Global Workshop later this month, crop, climate and economic researchers will come together to bring a multidisciplinary approach to understanding the complex interactions that can produce food shocks. These researchers’ collaboration is essential to developing adaptations for the modern food system to minimize the threat of food shocks going forward. As research and studies on the climatic influences on future shocks continue to improve, we will develop a much better understanding of the exact threat we face down the line. Until then, it is crucial to figure out what can be done in the present to protect global agricultural production from the next food shock. James Oliver is a masters student in the Columbia University Climate and Society program. Bren D’Amour, Christopher, Leonie Wenz, Matthias Kalkuhl, Jan Christoph Steckel, and Felix Creutzig. “Teleconnected Food Supply Shocks.” Environmental Research Letters (2016): 1-2. IOP Science, 29 Feb. 2016. 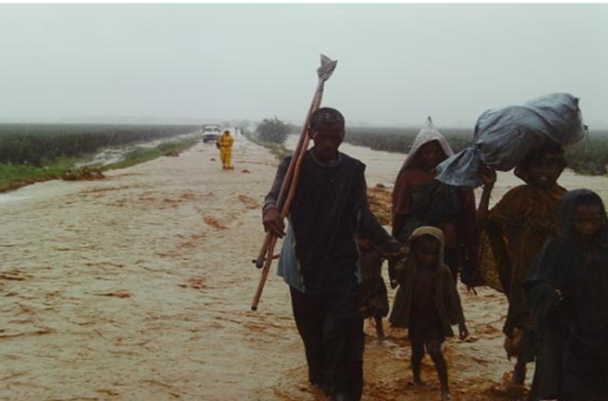 “3.4.3 Floods and Droughts.” Climate Change 2007: Working Group II: Impacts, Adaptation and Vulnerability. 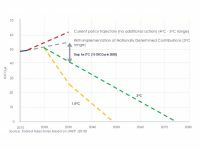 IPCC, n.d.